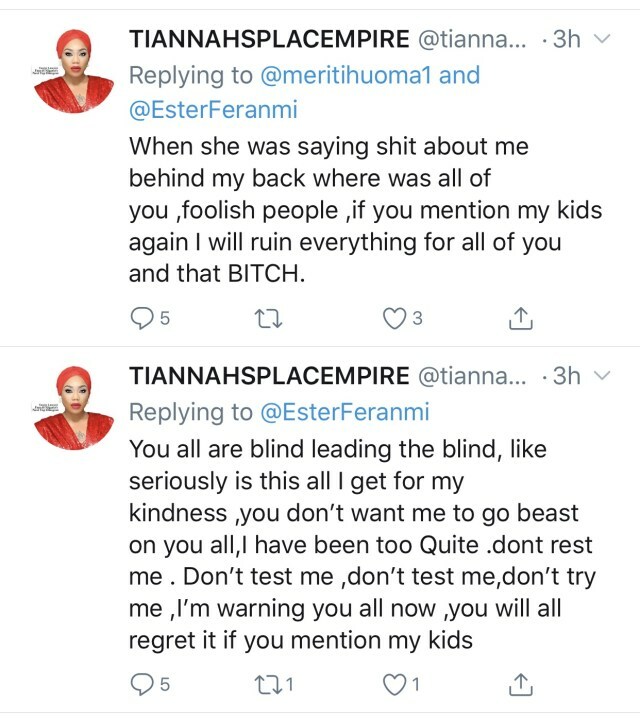 — Toyin Lawani threatens to spill the beans if fans continue attacking her for calling Nina out. 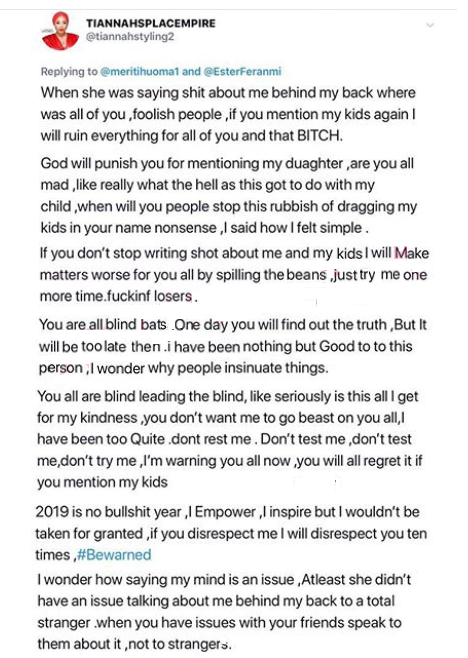 Fashion designer ,Toyin Lawani has slammed her former protege,Nina and her fans after they insulted her son . 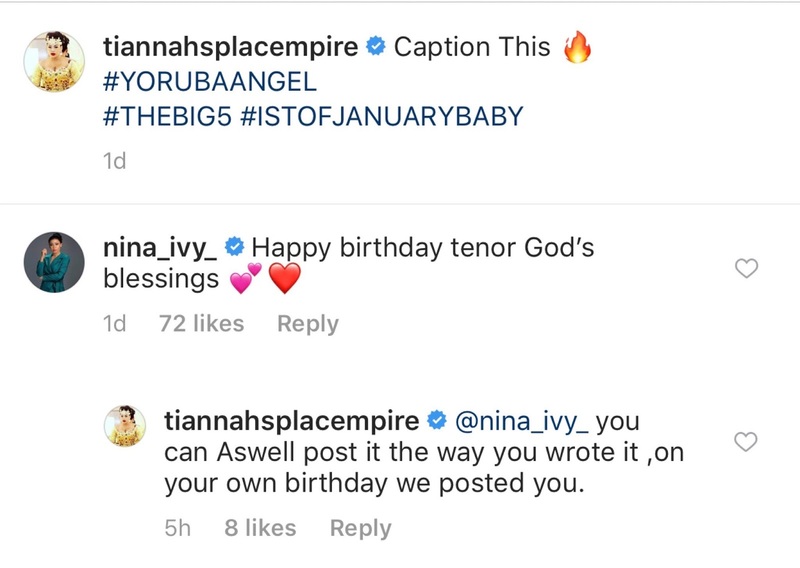 Earlier today ,Toyin Lawani’s response to Nina’s comment on her son’s birthday post ,went viral . 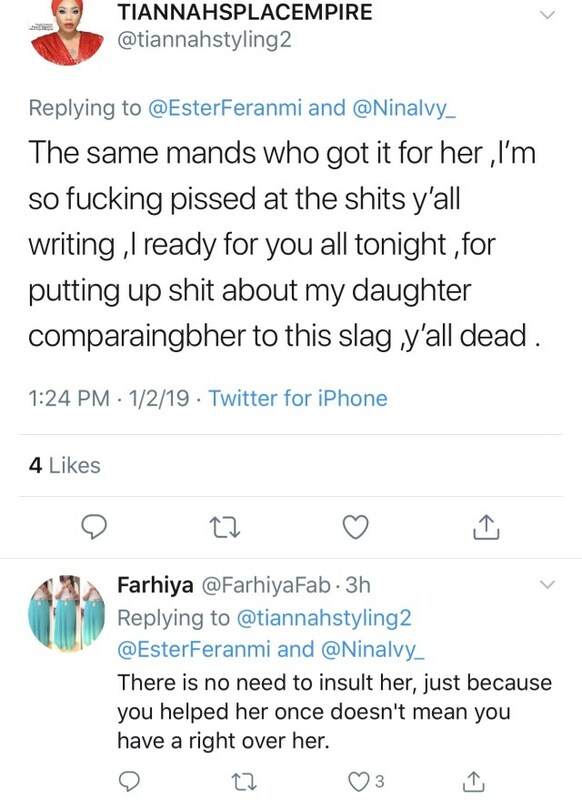 Toyin told Nina she should have posted it on her page just like she did on her own birthday . 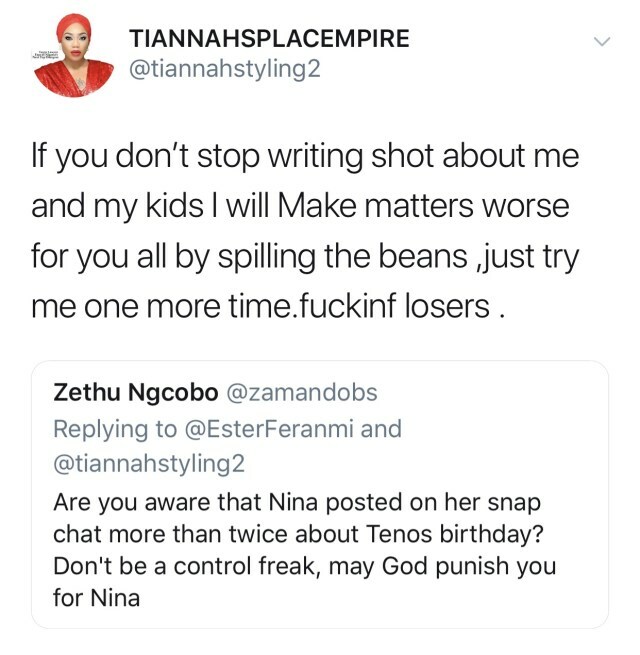 Nina’s fans took to Twitter to insult Toyin and her son, promoting the entrepreneur to threaten to spill the beans on Nina .